Congress Curbs US travel to Cuba: the Blockade still not over! Support the organizing to end the Blockade! The Blockade is not over! WASHINGTON (A.P.) – House Republicans voted Thursday to maintain restrictions on Americans seeking to travel to Cuba, a setback to efforts by the Obama administration to ease the five-decade standoff. The Republican-controlled chamber voted 247 to 176 to retain a Cuba-related provision in a transportation funding bill. It would block new rules issued in January that would significantly relax restrictions on travel to Cuba and allow regularly scheduled flights for the first time. The administration rules lift a requirement that American travelers obtain a license from the Treasury Department before traveling to Cuba. Instead, all that is required is for travelers to assert that their trip would serve educational, religious or other permitted purposes. The White House has threatened to veto the bill, in part because of the Cuba-related provision. The measure is also caught in a broader battle between Republicans controlling Congress and the White House and Democrats over spending for domestic agencies. The Cuba provision is the work of Representative Mario Diaz-Balart, a Cuban-American Republican from the Miami area. He said the Obama administration was wrong to lift the travel restrictions, saying that the flights would land at an airport that was partly owned by American interests when it was seized by the Castro government. You can still see Cuba for yourself! 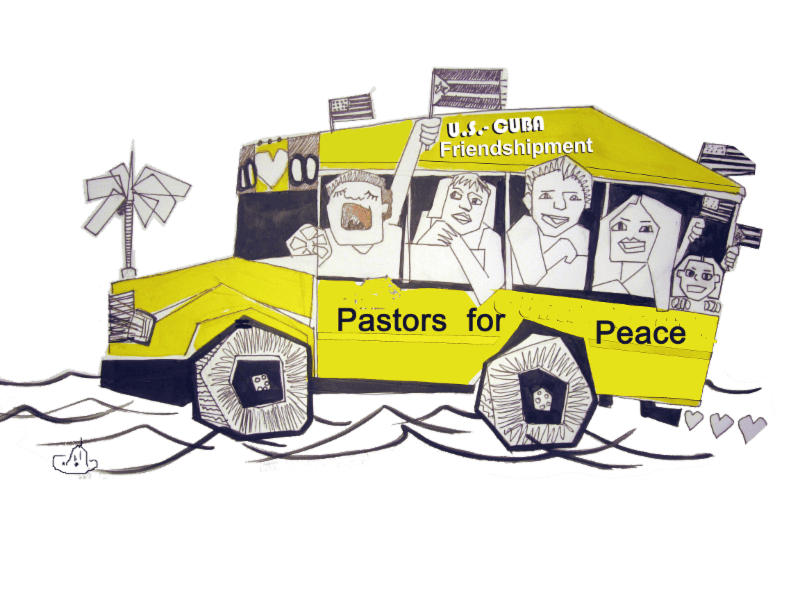 Join the 26th Friendshipment Caravan to Cuba this summer! Still a few slots available! Please email Ana Maria to request an application. Learn more about the trip here.